His pioneering work in miniaturization of semiconductor devices changed the world of computing. 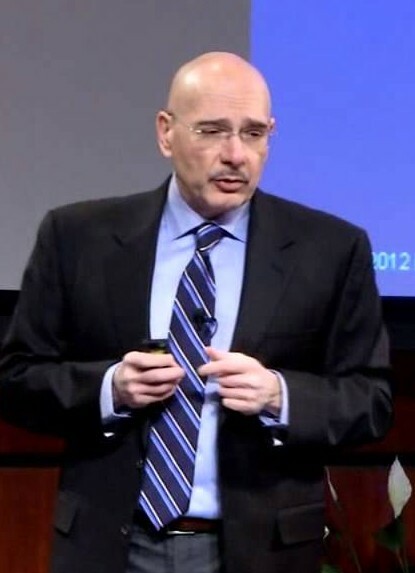 As Vice President of Next Generation Computing Systems/Technology at IBM at the IBM T.J. Watson Research Center, Yorktown Heights, N.Y., he pioneered critical functions of the modern computer chip. Born in Tehran, Iran; at age 11 he tinkered with vacuum-tube radios, and his father handed him his first transistor radio. He is quoted as saying, “It was so much smaller and more elegant. I could see that it was a game changer, and that’s how I got started.” In 1954, Texas Instruments engineers had radically miniaturized the transistor radio, making it simultaneously less expensive and more powerful. Their re-imagination of what had been a slow-selling semiconductor technology changed the world: the transistor radio became the most popular electronic device in history, and the semiconductor, of course, became the heart of modern technology. By the time he was in his 30s, he was leading the IBM research team that would produce another game changer—the first generation of high-performance, low-voltage logic (complementary metal oxide semiconductor, or CMOS) that characterizes computer chips. Today it is taken for granted that these chips, which have gone from megahertz to gigahertz performance standards within 15 years, power everything from iPhones to supercomputers. Without his breakthroughs, computers would be much hotter, slower and noisier. From the beginning, he and his team challenged conventional thinking, proving if you lowered the voltage, scaled down chip components and used different materials, CMOS became powerful. He also led the development of innovations such as low-voltage switches, copper interconnect, silicon-on-insulator technology and high-performance logic-based embedded memory, making possible the computers that serve as the backbone of Internet data centers. In his current position of Vice President of Next Generation Computing Systems/Technology at IBM, he is working to achieve significant technological breakthroughs at the system level. Future performance gains will come through more integration—such as IBM’s new electrical/optical device chip—as well as through parallel processing at the system and software levels. He says we’ll eventually be able to connect to very powerful, highly specialized applications through cloud and wireless environments. He has been quoted as saying, “You’ll be able to participate in a professional soccer game, for example, without changing the outcome. The distinction between the real and computing world will be totally blurred.” In 1996 he was named an IBM Fellow—the company’s highest honor—for his work. He also received an award from IEEE (Institute of Electrical and Electronics Engineers) for outstanding contributions to his field. In 2014 he was elected as a Member of the National Academy of Engineering for “Contributions to scaling of CMOS technology”.